This does backpedal time wise to 1750 BC and Ur. 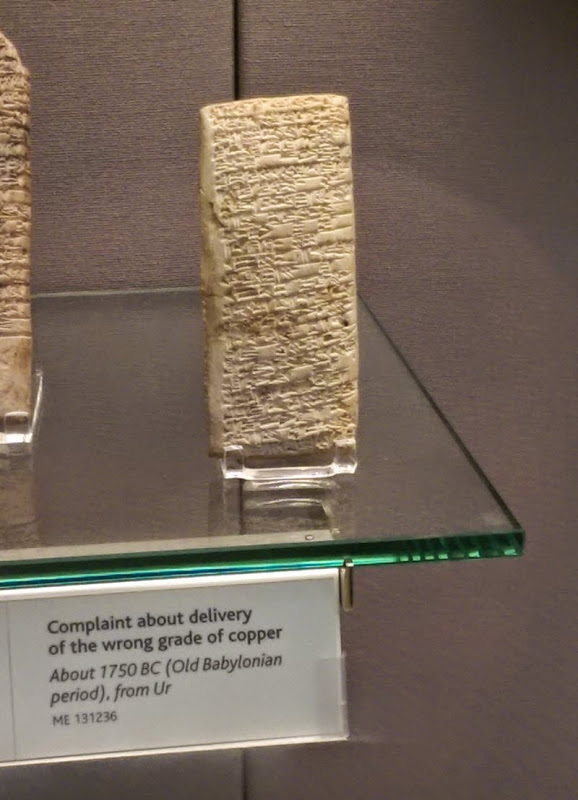 Imagine the anger generated that would cause a letter of complaint to be written on clay in cuneiform (https://www.thevintagenews.com/wp-content/uploads/2015/10/nanni-to-ea-nasir23.jpg) when the purchased product did not meet spec. Wrong grade of copper delivered (https://www.thevintagenews.com/wp-content/uploads/2015/10/nanni-to-ea-nasir2.jpg). It is believed one of the oldest customer complaints extant.